Jessi Reed is passionate about energy healing & spiritual connection. She is a certified massage therapist, Reiki master, energy healer, angel card reader, & spiritual intuitive. She offers energy healing sessions, angel card readings, & teaches energy healing & spirituality workshops. 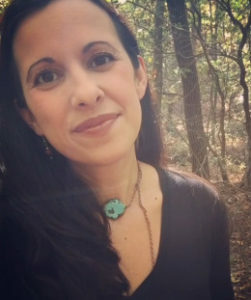 She facilitates a women’s meditation moon circle group & Red Tent gathering in North Georgia. She lives in Sautee Nacoochee, GA with her family.